The Air Marshal was the team leader of the Air Force Project Monitoring Team for the Airborne Early Warning and Control System (AWACS) at Israel. 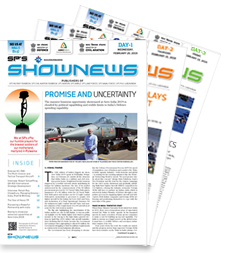 He was also the director of the IAF Project Monitoring Team at the Aeronautical Development Agency at Bengaluru for ongoing indigenous projects including the Light Combat Aircraft Tejas. Prior to taking over the top job in the Central Air Command, Air Marshal Kumar was heading air operations in the Eastern Air Command as the Senior Air Staff Officer, where he had a key role in preparedness on the China front. 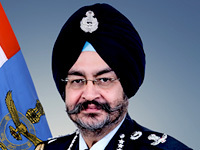 A distinguished fighter pilot, Air Marshal Kumar was decorated for gallantry during Operation Parakram, the full-scale military mobilisation and near-war situation with Pakistan after the terrorist attack on the Indian Parliament in December 2001. He has commanded a fighter base and a frontline fighter squadron, and is a Category 'A' Qualified Flying Insructor, Instrument Rating Instructor and an Air Crew Examiner. Commissioned as a fighter pilot in June 1982, Air Marshal Kumar is a graduate of the US Air Command and Staff College at Montgomery, Alabama, as well as the College of Defence Management at Secunderabad. He is an alumni of Mayo College, Ajmer, and the National Defence Academy, Khadakwasla. 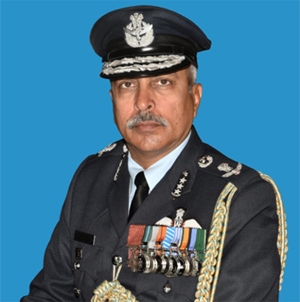 Upon taking over as the Central Air Force Commander, Air Marshal Kumar exhorted the officers under his command to ensure operational readiness.